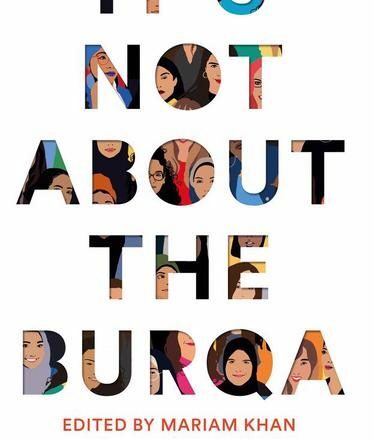 It’s Not About the Burqa is presented as a collection of essays on ‘faith, feminism, sexuality and race’ and it is a lot more than that too. Mariam Khan has created a space for Muslim women to unapologetically share their first hand experiences of life under labels and misconceptions created by non-Muslims – and unfortunately perpetuated in British society. It is not a new narrative by any means but an authentic and poignant one, delivered by strong individual voices which demand to be heard. The most relatable essay I found was Yassmin Midhat Abdel-Magied’s Life was Easier Before I was Woke. She tells us how she entered the world, and the workforce, unaware of any societal disadvantages. When she stepped into her first job after university she had not come to the realisation that The System is built to benefit those who perfectly fit the norm, and not those who deviate. For me, this was my experience. My parents did not raise me to second guess myself or my position because of my gender and I never slapped the label ‘casual sexism’ onto all the times I was called ‘bossy’ in school or questioned the passing wolf whistle on the street. Where I benefit from white privilege however, Yassmin does not. The true message of her work is that being aware of all your disadvantages is not easy or fun. It is time-consuming and weary and places you in the spotlight. Challenging the norm earns you criticism but, as Yassmin states, it must be done. Life was Easier Before I was Woke is a personal journal towards a tough realisation that anyone who deviates from The System’s prized existence (white, straight, cisgender, male) will sooner or later come to realise and Yassmin tells it with a straightforward tone of someone willing to challenge that prized existence. The System though does not like to be challenged, as Aina Khan addresses in How Not to Get Married. Even in 2019 the law has fallen behind society’s truth and does not reflect reality. What has also fallen behind is the public’s understanding of Islam. I cannot count the number of times I’ve heard someone use Saudi Arabia as a reference for every single member of the Muslim community. As Aina points out, it is not Islam which has no rights for women but the British community in which many Muslims have grown up. How Not to Get Married therefore neatly sums up one important factor of It’s Not About the Burqa. Stereotypes persist and trail across even into the community they have been aimed at and, if the members of the side-lined community do not have voices, then they cannot be dispelled. Sexism is built into the fabric of British society and marriage laws showcase this perfectly, just as Aina showcases perfectly how The System how and must be challenged. Although it is not the first piece in the collection, Sufiya Ahmed’s essay The First Feminist is the first that comes to mind when I think back to reading thanks to its honesty, attitude, and philosophy. Sufiya talks about Khadija bint Khuwaylid the successful wife of the Prophet Mohammed. She was a business women in her own right, leading her to be ‘the wealthiest merchant in Mecca’ and, now, she is also a guide through life for Sufiya. As we are led through a series of memories we see that Khadija is more than just a role model. She has become a point of reference, a reminder that Muslim women are allowed to prosper and achieve for themselves, even if not everyone else thinks so, including a disturbingly blasé university male. His self-assurance in his own, uninformed views of Sufiya is jarring after we have seen her grow into a confident young women unafraid to push forwards. It is not however his words which leave the biggest impact in The First Feminist, or even Khadija herself. Yes, Sufiya offers a heroic woman – Fatima Al-Fihri as well – as a role model to hold in high stead but, through the careful telling of her story, she also shows herself to be a true feminist icon. Along with identity, the hijab, and labels, this is the other recurring theme of Mariam’s collection: a new era of role models. 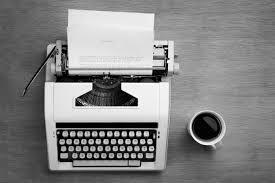 The included authors have not all overcome a definitively tangible form of adversity, yet they are forced to continuously strive against a narrative someone else wrote for them. Thus It’s Not About the Burqa provides a revolutionary collection of uncensored and beautifully evocative essays where Muslim women are celebrating their own, powerful voices.Obviously, it does not offer an all-encompassing tale of the Muslim women experience – it would be impossible to dilute an entire culture so – but these women allow for an insight into their own experiences which provide a stepping stone to understanding more. And it should be read as a stepping stone, utilised by those who have not necessarily given Muslim women their due time before, as the predominant placement of the glossary suggests. Although It’s Not About the Burqa should be read by people from all walks of life, it is purposefully meant as a learning curve for non-Muslims; it provides an insight into the lives of Muslim women which many of us have either been wilfully ignorant of or simply uninformed about in the past. But it is worth remembering that their role as authors is not to be our everlasting teachers but should prompt us to seek more information and challenge The System. Rhiannon Jenkins is a staunch inter-sectional feminist first and an English student in her second year at the University of Leicester second. After graduation she hopes to travel, become a journalist, and maybe fit in a few years to teach. Since some childhood years living in Dubai, where she was first properly introduced to the Islamic culture, she has maintained a keen interest in studying it both politically and educationally.